Why is the North American Wilderness Known for Spiritualism? There may not be all too much of the North American Wilderness left untouched and pure. Yet, the folklore behind the wilderness still stands strong today with the connection to Native American culture and history. 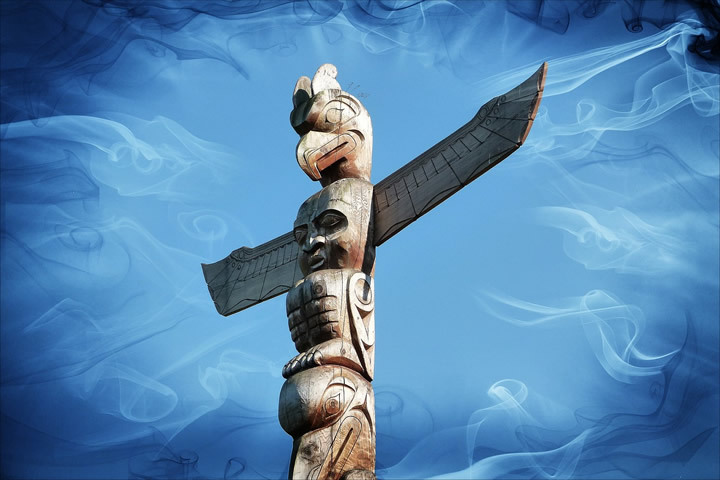 This article will explore some of the most fascinating features of Native American folklore, going back to the oldest of traditions right up to the Native American influence on modern gambling and online casinos. There are three different types of spirit animals, however it is easy to see how the categories can be easily confused. Power animals – A power animal is a shamanistic belief of a spirit which helps protects and guides individuals and tribes. Spirit Guides – A spiritual guide is an entity that does not embody an animal but remains solely as a spirit to act as a protector to a living human being. Totem Animals - Animals who Native Americans believe to be sacred or possess super natural powers. However, generally when you hear the term ‘spirit animals’ it is referring to an entity which is very much similar to a guardian angel which is a feature in the Christian belief system. There are many animals which have been long regarded by the Native Americans to be spiritual animals. Which makes sense when you think that the belief still stands in their culture that humans were put on the earth to take care of it, and we’re all connected to nature and the rest of the animal kingdom. Whilst a lot of people come to see a lot of elements of natures as threatening, Native American’s view all of nature as an ally. Respect is given to all creatures by the Native Americans and not just those which are more popularly associated with them. The most prevalent animal symbols you will see associated with the culture are bears, wolves, hawks, buffalos and owls. Yet there are plenty of animals and insects such as turtles, butterflies, otters and spiders which you wouldn’t expect to be associated with the culture. For a more comprehensive list of all of the animals which are held to be sacred and their place in their traditions more details can be found here. Or you could even find out what own spirit animal is. The belief is still strong that everyone has a connection to a species of animal. Take a quiz to find out which spirit animal is linked to you! There are over 500 federally recognised Native American tribes, so getting to know them all individually would be fairly difficult. As you’d expect, Native American tribes who came from a completely different geographical location share completely different politics, languages and customs. Whilst the tribes are generally grouped together based on geographical locations. Here are the four main tribal groups which will give you a better understanding of the diversity of Native tribes. There are numerous tribesmen who made their mark on history after the arrival of the colonists arrived in America. Whilst they tried to be accommodating to their new neighbours, the Native Americans soon found that the ways of life of the pilgrims didn’t quite match their own and they were compromising the structures they’d live by. The pilgrims also brought with them new diseases which threatened the survival of the Native Americans, so, it wasn’t surprising that conflict soon sparked. You can read about the tribesmen who helped to change the face of history here. But I’m sure you’re already familiar with the tale of Pocahontas. Yes, she was real! Although, you may want to forget everything that you learned about her in the Disney portrayal of her life including what she looked like. Many liberties were taken in the Disney film to skew the actual order of events which took place in her life time (1595 – 1617). So, four hundred years after her death, why is she still remembered? Pocahontas was a Native Indian who married John Rolfe, an Englishman who visited her settlement in Jamestown. Yet it was only in the last year of her very short-lived life that she became famous. She gave her own life for her husband’s when he was sentenced to execution by placing her own head down on the block. Before her final selfless act, she was well known as a character who would promote peace amongst her tribe and the English colonists. Given all that we’ve spoken about with Native American culture their connection to gambling may seem strange, yet, gambling has been a part of their culture since pretty much the beginning of time. The traditional games usually fell into two categories, ones which fell down to chance and those which required skill to win the game. Indian casinos started to spring up in the 1980’s as the Native Americans started to make the best use of their land in a financial capacity and it’s safe to say their plan has been effective in allowing them to regain their freedom. To this day the gambling industry offers tribes the most viable and successful modes of income to tribes. However, it hasn’t all been plain sailing for the Native Americans after they have faced decades of unemployment and poverty. Given that the land was theirs in the first place, it only seems fair to allow them to reclaim it and generate a revenue from it. They should have never expected to survive off handouts. 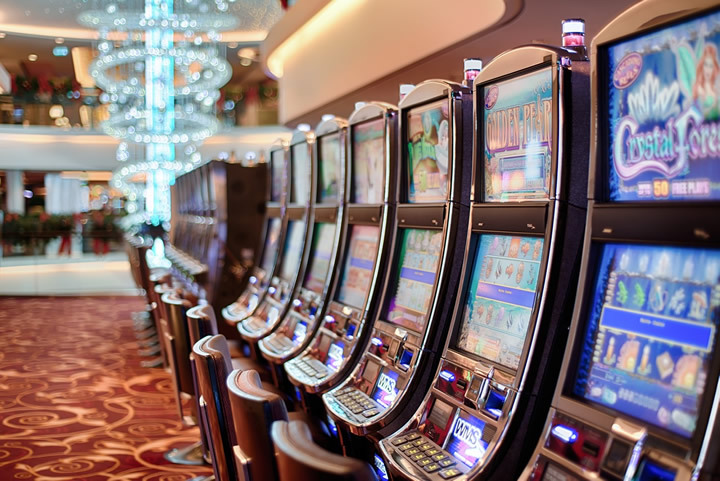 In recent years, alongside the popularity of Native American casinos still dominating the industry in the US there has also been a rise in the relevance of online slot machine games which are inspired by the folklore and tradition. One of the most popular games is the Wolf Gold Slot Game which attracts players from all over the world. Alongside the great odds and dizzyingly generous bonuses you also get the chance to take a journey through the history of the spirituality, meeting some of the more common spirit animals such as wildcats, buffalos, wolves and wild horses. Disclaimer: This is an paid advertorial. The above is a matter of opinion provided for general information purposes only and is not intended as investment advice. Information and analysis above are derived from sources and utilising methods believed to be reliable, but we cannot accept responsibility for any losses you may incur as a result of this analysis. Individuals should consult with their personal financial advisors.